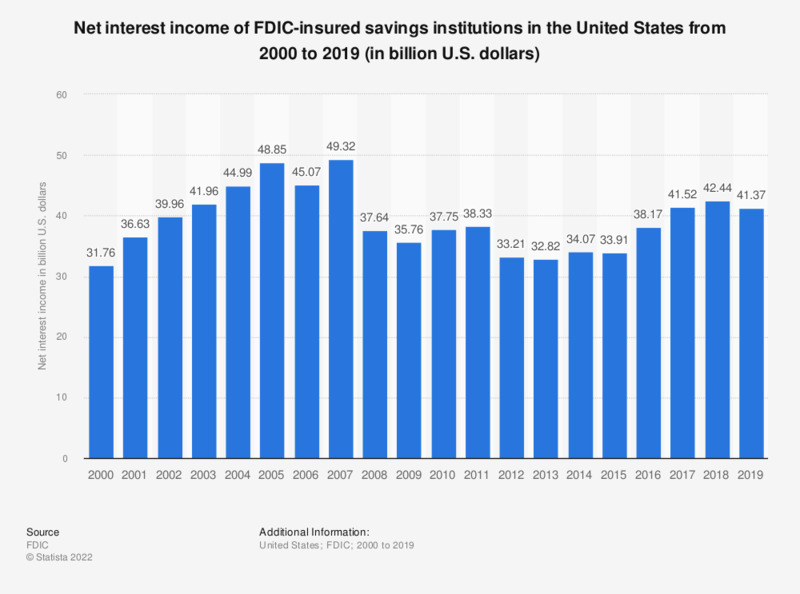 The statistic presents the value of net interest income of FDIC-insured savings institutions in the United States from 2000 to 2016. In 2016, the net interest income of FDIC-insured savings institutions amounted to approximately 420.71 billion U.S. dollars. Net interest income represents the difference between value of interest income and interest expense.